Today 3 matches were played in the ongoing Women’s Asia Cup T20 2018. Brief match wise summary is appended below. A poor batting display by Pakistan was displayed in the 1st innings as they could only manage 72 runs in 20 overs. 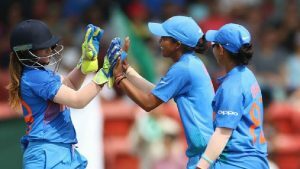 This score was easily chased down Kaur and Mandhana as they helped India women to win this match with 3 overs to spare. Wongpaka emerged as the hero as she took 5 wickets in the 1st innings to bowl out Sri Lanka for 104 runs. In the 2nd innings the match came to the last ball and this time also it was Wonpaka who took her team over the line as Sri Lanka lost the match. 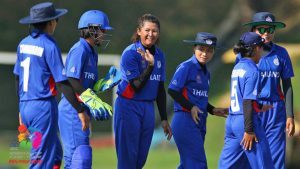 Malaysia women ended their Asia cup campaign with another loss as they were unable to chase down 130 runs put up by Bangladesh in the 1st innings. Shamaima Sultan was the awarded the Player of the match for her valuable 43 off 54 balls. 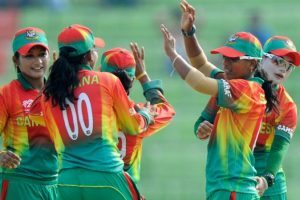 Join allsportspk tomorrow to read the full match highlights of Women’s Asia Cup T20 Final between India Women and Bangladesh Women.